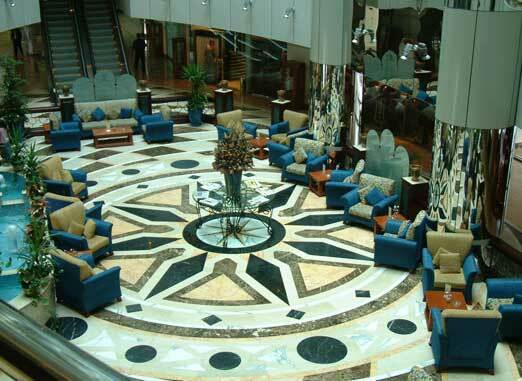 Emirates Concorde Hotel & Residence is located in the heart of Dubai, only a short drive from Dubai International Airport, Dubai Creek & Golf Club, the gold and spice markets, and major shopping and leisure centres. The Emirates Concorde Hotel & Residence offers good services and modern facilities including a games room, where guests can play billiards, snooker, football flippers, table tennis and various computer games. It also has a dental clinic, shopping facilities, and a flexible function space for over 300 persons. The Concorde staff will happily help you arranging a Dubai city tour, shopping tour, deep sea fishing, Dhow cruise, desert safari, or an adventure tour with the best tour operator in Dubai.